Yes, the SSL connection is between the TCP layer and the HTTP layer. The client and server first establish a secure encrypted TCP connection (via the SSL/TLS protocol) and then the client will send the HTTP request (GET, POST, DELETE...) over that encrypted TCP connection. Since nobody provided a wire capture, here's one. 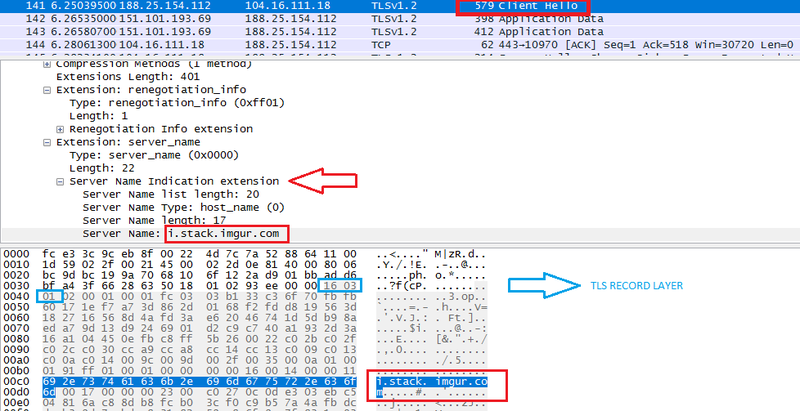 Server Name (the domain part of the URL) is presented in the ClientHello packet, in plain text.